Based in Bristol since 2006 she gained a BSc in Town and Country Planning and MSc in Regeneration from Cardiff University. Previously employed at RPS, her work includes a wide range of applications and appeals, particularly related to care proposals. 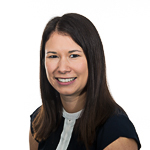 Rachel is experienced in producing evidence to support complex care proposals in terms of needs assessments and constructing arguments to ensure that applications have watertight background evidence. She is adept at project managing large consultant teams and ensuring a smooth path to permission.